Please stand with us and fight for religious freedom. There’s no longer any doubt. Your religious freedom and the values you hold dear are under relentless assault. That’s why – with just 6 days left to meet our fiscal year-end funding objective of $3 million – your gift right now is absolutely crucial. In courtrooms across the country, Alliance Defending Freedom is standing up for your religious freedom – for individuals and businesses that have been targeted because they believe in religious liberty, the sanctity of life, and marriage and family. Watch this video to hear firsthand, from Alan Sears, how your support is making it possible for Alliance Defending Freedom to stand with courageous Christian business owners, like the Hahn family and Barronelle Stutzman, who are facing severe punishment for living out their faith. To fight effectively in an increasingly hostile environment – and to defeat well-funded opponents like the American Civil Liberties Union (ACLU) and its allies – we need to raise $3 million by the close of our fiscal year at midnight on Monday, June 30. Please give now to equip our dedicated attorneys to win strategic and precedent-setting legal cases that will help protect you and other believers who have been targeted for simply living out their faith. Alliance Defending Freedom is already on its way to reaching the $3 million objective. But time is running short. We need every Ministry Friend – including you – to pray and give as God leads. Your support – when pooled with the gifts of other generous, caring Christians – will help fund winning legal strategies that are critical to achieving future victories for your religious freedom! Please help now, or by midnight on Monday, June 30, at the latest. Thank you! It my scattered existence, and next week I shall no longer be in Iowa, I completely forgot St. Etheldreda's feast day. I know she forgives me, but a belated honor is better than none. Check out the tags on my beloved patron of this blog. May God raise up more Etheldredas in this day. Tomas would have to deal with Suleiman I and Frederico with Lala Kara Mustafa Pasha. The ships had to be destroyed by the guns of Tomas, and the land soldiers by the guns and swords of Frederico. Both men approached their commands with different means. Frederico had risen early, before the early dawn, and assisted at Mass. He then prayed before the icon of Our Lady in the small chapel next to his apartments for two hours. His orders came from a different authority than Vallette. Today, Frederico knew the battle would commence, and, sadly, many people would die. 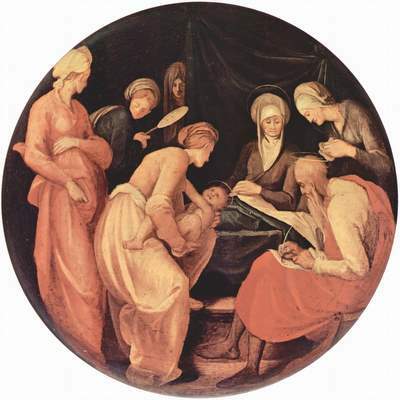 But, he was assured by the Virgin that Malta would endure and win in the end, after many trials. Frederico had been mentally prepared for suffering and victory. The French Grand Master had joined Frederico for Mass, surprisingly prayer, and then breakfast. The tall and elegant Grand Master prepared for battle like his entire household, by going to the King of Kings and begging for spiritual prudent and perseverance. And, a break-fast it was for both men. Frederico trusted Valette’s humility, born of his past as a galley slave himself, and as a true Knight of the Order. Vallette had already given new orders in the dark of pre-dawn. The promontory and St. Elmo’s armies were on alert, even before Tomas saw the sails in the distance. Vallette had received word from his men in Sicily and southern Italy, men who would be called “secret service spies” in later days. Within the hour, the two were on their way to the tents at Fort Angelo. In this Year of Our Lord, 1565, on May 18th, with the hardening breeze of the sea in his face, mixed with the sand of the sirocco, Frederico thought, either he would suffer and meet His God soon, or suffer and endure to fight for many days. All rested in God’s Hands. He sped on his white horse and Matthew followed on his bay. Tomas stood on the small battlements on Mt. Sciberras set-up on the peninsula, which in a few years, would present one of the more beautiful cities to the world with a fortress no one could overcome. But, today, only a handful of works had been hastily built around the tents and guns of the Knights of Malta’s troops in the months before this spring day. Already news of a huge fleet sailing towards Malta had come with the dawn breeze. The cry of the gulls never seemed so poignant to Tomas, who was grateful that his only son was far away in Gozo tending flocks and crops. Tomas looked towards the East. Nothing yet was on the horizon, and when the first ship would be spotted, the large bell on the coast would cry out for all men to come to arms. The elder brother wondered at his calm. He was not a peaceful man, usually, but a man of restless energy and intense intellect. It was no accident that Vallette had chosen Tomas for the front line of battle on the edge of the promontory. But, today, Tomas felt neither brilliant nor particularly active. His thoughts were far away, in the cool streets of Rabat, in the past sadness of his youth, his wasted youth. Tomas was no romantic. He saw clearly that he had scorned wisdom for advancement, peace for pride, and position for temperance. He have loved unwisely and those beneath his status, choosing none of the ladies who his parents had chosen for him, but stubbornly choosing those who he knew could never bear his name, or his title. Today, however, Tomas reflected on the fact that his son was hindered by the father’s stupidity and coarseness. Why had he not thought of a son in those years, a son who could inherit title, even the name of the Order, two honors of the father which were denied the son by birth? Tomas looked one more time to the East, as if he sensed, or even smelled, danger. And, there is was, a small black dot on the far edge of the Middle Sea-growing ever so much larger, and flanked, in crescent shape, by other black dots. The wind was “up” which bode evil for the small garrison on the rocks above the small peninsula. Tomas watched the dots grow into shapes, the shapes of sails. The fleet would be here in a matter of hours. Tomas was under the command of the captains at Fort St. Angelo, Fort St. Michael and Fort St. Elmo but directly under Vallette as well. The great leaders de la Cassiere, de Medran and de Robles would have authority over Tomas, as he was only fifth in command. But, as he had the most men and movable armory, his role was not insignificant. That Vallette moved Tomas to Marsaxlokk was an unusual move, leaving less men to defend St. Elmo and the promontory overlooking the harbour. But, Tomas trusted the Grand Master. In the meantime, his son had travelled overnight in a small fishing boat to Malta from Gozo. Then, he moved quickly, with a group of his own men, about six youths, south. In the countryside, Immanuel had been ordered to cut down all the crops on all the estates, as had all the smaller farmers and other estates on the hillsides. Even the young, unripe grains were sacrificed. The Gozo wine estates would be guarded against those Turks who still lived on the island after the victory years ago. But, most of those men, who lingered had become soft, even marrying into some Catholic families, after being baptized. Immanuel did not worry about his vineyards, but he had much work to do organizing the early harvest to keep the grain and fruits out of the hands of the landing troops. Much of the produce was stored in the ancient catacombs of Rabat. Immanuel and the other farmers had also been ordered to poison most of the wells near the sea. This they did, keeping only the ones in Mdina and Rabat, as well as a few in the north free of poison, so that the locals could drink.. Immanuel, sharing instincts regarding warfare with his father had poisoned the wells around St. Paul’s Bay, angering the local inhabitants, but his foresight later proved correct. Immanuel stood at the gates of Mdina and looked out to the sea. Like his father, he could sense danger in the airs above the blue waters. He knew instinctively that today was to be the first day of the battle. He ordered more guards to the catacombs, and turned to the south, where he would visit Frederico one more time before the battles began. What Immanuel did not know was that his father and the troops on the Grand Harbor had split into two, some staying at St. Elmos and some moving to Marsamxett. Vallette had a premonition about that northern base and had sent Tomas and his men there. However, St. Elmo’s was the key fort. As Immanuel rode south, he could feel sand in the air, as the sirocco raged off the African coast into the fair land of Malta. These winds off the Sahara caused Immanuel to put a scarf over his face. He laughed. And, for a moment was glad that he was not a Knight, forced to wear the armor of the Order. But, a strange thought crossed his strategic mind. If the siroccos became worse, would not the fleet turn away from the winds and move to the north? What then for the troops at St. Elmo’s Fort? What if the land troops of the enemy chose to take Mdina and Rabat, where the foodstuffs lay hidden? What if the promontory could not hold? What if the Madonna left the people to their own devices because of their many sins? Immanuel spurred his horse to get to the camp near Fort St. Angelo, where his angelic uncle was still training young men in the art of swordsmanship, even on this day. Cardinal Manning writes that we can make reparation to the Holy Ghost in three ways. The first is through following His inspirations promptly. Look at the damsel fly, as I add, and see how this creature turns quickly over a stream and changes direction in its flight. So too, we must swiftly respond to grace. Second, and this is more difficult as it demands a generous heart, we must respond according to the graces and inspirations given, not with the burying of the talent, but with making more out of what is given. Third, we must serve the Holy Ghost is complete purity of heart. Now, the Cardinal gives way to achieve this purity, some of which were pointed out to me long ago. Secondly, Manning advises us to do all our “little duties”…”with great exactness”. The last words from this book on this blog are on the horrible spiritual warfare we are experiencing now and which Manning saw in his day. I shall end with the same prayer which ends his book. “O God the Holy Ghost, Whom I have slighted, grieved, resisted from my childhood unto this day, reveal unto me they personality, Thy presence, Thy power. Make me know Thy sevenfold gifts: the spirit of wisdom and understanding, of counsel and fortitude, of knowledge and piety, and of the fear of the Lord; and make me to be of quick understanding in the fear of the Lord. O Thou Who art the Spirit of the Father and the Son, O Thou Who are the love of the Father and the Son, O Thou Who baptisest with fire, and sheddest abroad the love of God in our hearts, shed abroad Thy love in my heart. One thing have I desired of the Lord: that will I seek after: not wealth, rank, power, worldly home, worldly happiness, or any worldly good, but one drop of that holy flame, one drop of that heavenly fire, to kindle me and set me on fire with the love of my God. This is the penultimate post on Manning’s works for now. I am sorry to leave the work of this great man. I feel a connection to him from my stay at St. Mary of the Angels for three months in 2012. Daily, I worshipped in the Church where Manning himself sometimes came, and in the buildings where the Oblates of St. Charles lived, I lived for a short, but happy time. The Holy Ghost raised Christ from the dead. 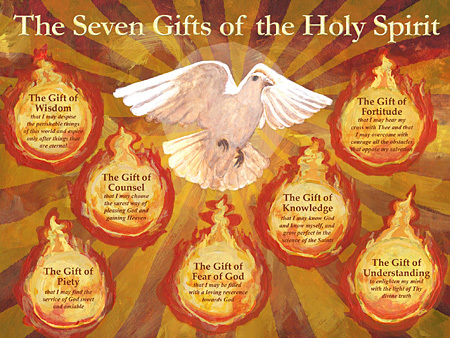 The Holy Ghost came into the Church and into us at Pentecost. And, we need His help now more than ever. Manning quotes many references from St. Paul in this last chapter. I highly suggest a study of St. Paul through Galatians, 1 and 2 Corinthians, and Romans. Manning decries the loss of the realization among most Catholics that we have the Indwelling of the same Spirit Who raised Christ from the dead and who recreated the world through grace and gifts. How do we become unconscious of this grand heritage of the life of the Spirit within us? We must also make reparation to the Holy Spirit for our many sins. I shall continue in one more posting. The chapter on the Beatitudes includes a long section on the need for perfection for priests and bishops. I shall let those two groups of men read that section, rather than comment here. However, I do want to quote a long section for the laity. One or two most posts on Manning to come….